The algorithms work with existing technology but they require each home to be equipped with circuit breakers that can be remotely controlled—and these devices are not yet widespread. Utilities also would have to install advanced communications methods that allow the power systems in a residential cluster to talk to one another. Just how do they plan to connect the producers with the users during such an outage? Say a hurricane or large snowfall hits your town an knocks down the power lines. What system is in place to share power other than the local lines? The number of outright major grid failures is not large and it is not really worth the costs involved trying to interconnect small sources of renewables. It is relatively easy and not too costly to connect an automatic transfer switch in a solar home thus enabling it to self power during an emergency. Once you try to share this power with a neighborhood costs get out of hand quite quickly. If you think you can use the solar panels on your roof to power your home during an outage, think again. Not entirely true. SMA offers in some of its Sunny Boy line of solar inverters something called Secure Power Supply. It only offers up to 2000 W of your own solar power during an emergency, but that's enough to run a few necessaries like the fridge and cell phone chargers. And of course any solar system with a battery bank can supply battery power from previously collected sunshine. Another reason why you can't put electricity back on the grid is for the safety of power line workers and other people near downed power lines. The 220v in your panel gets back to 8000 V on the line outside the house. If you know exactly where and why the gird is down you might be able to do something, but in storm situations it would not work. Its also cheaper to just put a $800 small Honda generator and a gallon of gas in the garage to keep lights TV and cable box on. The way electric prices are skyrocketing in places like California, Ontario, much of the EU, Australia, etc means that its actually as cheap or cheaper to simply burn natural gas at your home to make electricity. You gain if you also use the 80% or so of the energy that is 'wasted' heat. Micro co-gen from Yanmar is an example. Generators running off the regular flow of natgas are a good idea. 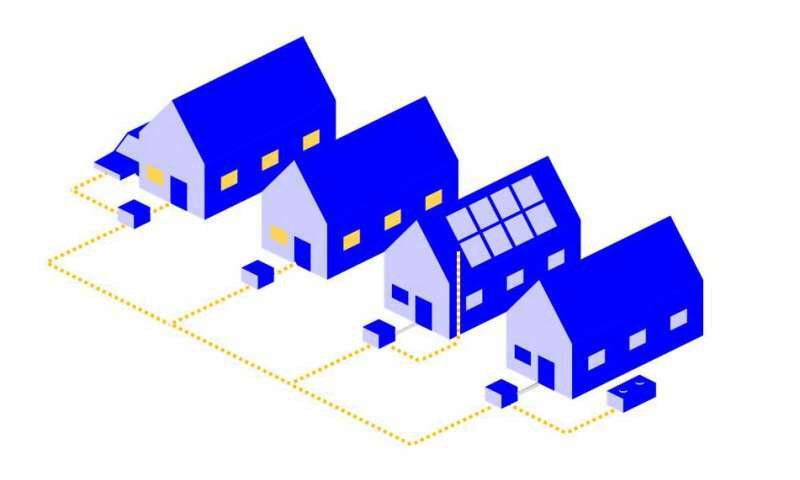 Better than relying on solar, or splitting power with a neighbour that's for sure. How about if we have a cutoff that turns off the grid connection manually? - The grid is your packup if your power generating capacity fails. 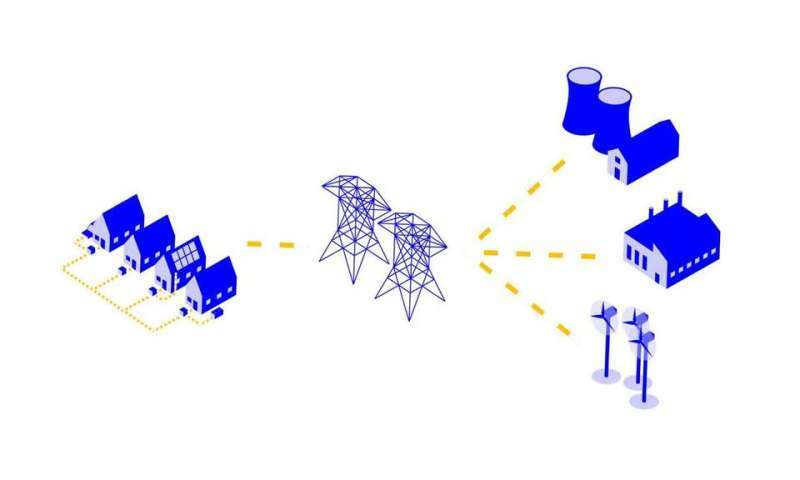 If the grid fails, you're likely to find yourself in a power "island" that is cut off from the rest of the network, which produces load matching issues. Non-dispatchable sources such as solar panels must be kept out or risk further breakdowns. The smaller the grid, the less it is able to absorb disturbances like clouds passing over the panels. Hence in your neighborhood "minigrid", unless you have significant two-way battery capacity or fast standby generators, the lights will start to go in and out and appliances get damaged via under/over-voltage and fast transients. If papers like this are the best that our educational system can produce we are in serious trouble. The way I see it? There is good news and there is bad news and there is a hellova lotta confusing news. Especially generated by hucksters flooding neighborhoods with a tidal wave of infomongering. Many of us want technology that works better, more reliably and cheaper. In an emergency, we would settle for reliable even if inefficient and/or more expensive. The general default is we will usually wind up paying more and still suffering through the failure of the technology. Though if we were honest, we ourselves abuse the capacity of the machines and delude ourselves that we are entitled to perfection. P.S. Puhleeze! Before you store gasoline within your habitat? Make damn sure it's not sharing atmosphere with a water heater or other open flame source. Including where your kids sneak off to secretly smoke whatever noxious weed they swiped from your stash. In order to avoid damaging your inverters, in case there is a power outage and you want to go with your internal power only until they get it straightened out. I thought that was obvious from the article. On edit: @Eikka also makes valid points about your appliances; I'd say any modern renewable system that has batteries would take care of transients for clouds and so forth, and would cut the power off rather than brown out.